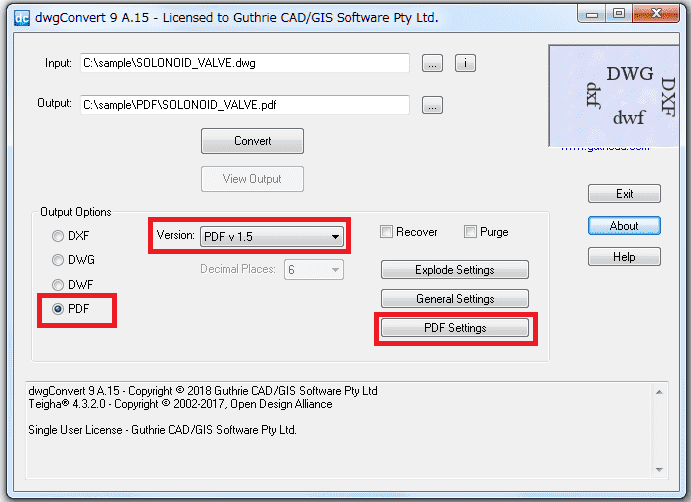 Our AutoCAD to PDF converter, dwgConvert 9, produces high quality PDF output with one click. 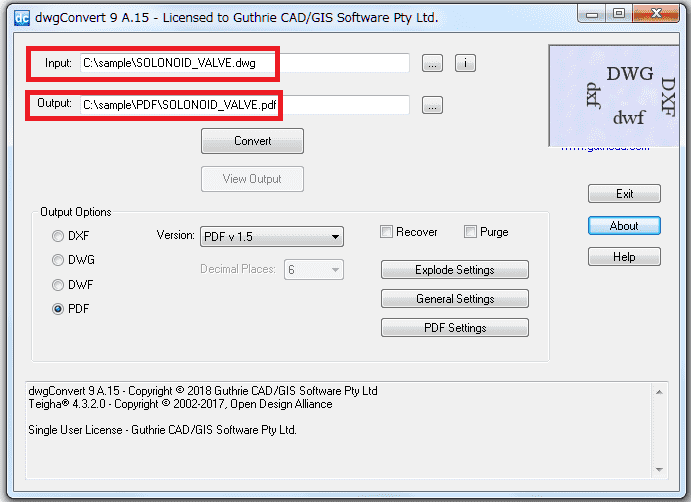 This simple software enables you convert AutoCAD files to PDF without AutoCAD license. 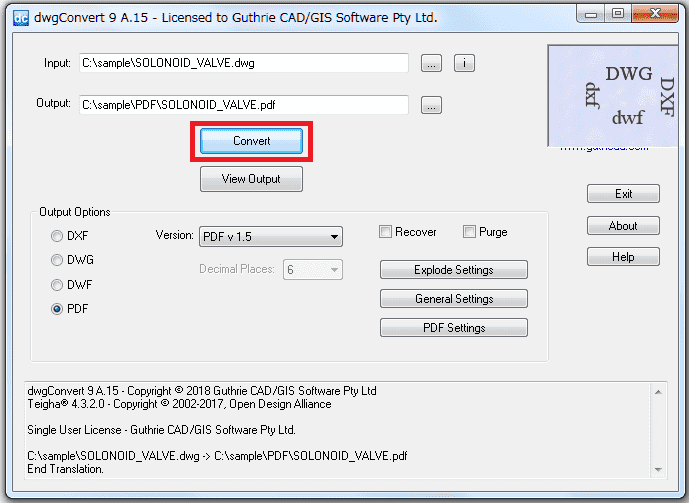 As a reliable and accurate converter, dwgConvert 9 is designed to prevent common AutoCAD to PDF conversion problems, such as flatten PDF (without layers) and non searchable PDF output. Step 1: Select an input file to convert and type an output file to generate as PDF. Step 4: Press Convert button. Once the translation ends, press View Output button. Then you can see a resultant PDF file on your PDF viewer. Batch Conversion: You just need to type "*"(asterisk), ". "(dot) and file extension in both Input and Output. For example: *.dwg in Input and *.pdf in Output. 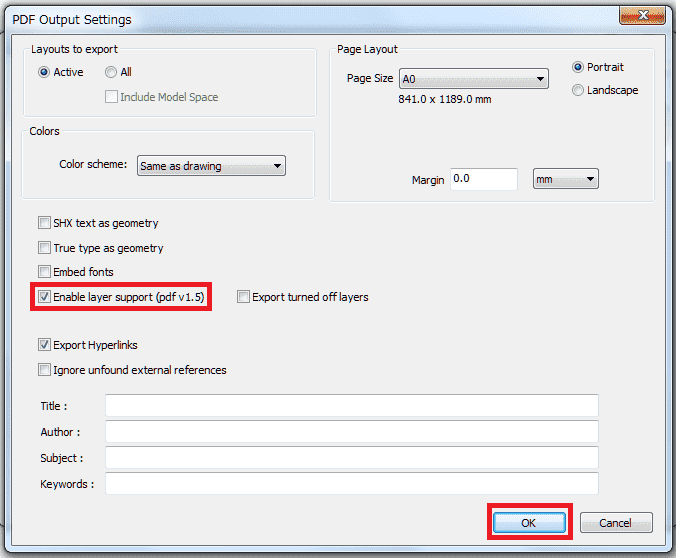 Then select PDF as output options and press Convert button. "I’m very impressed with dwgConvert. Your software works like a charm." • Select layouts to export. • Export turned off layers and hyperlinks. • Ignore unfounded external references.